What does a prominent scholar of Amartya Sen’s ideas think of India’s health system? 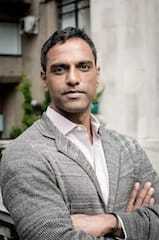 We recently interviewed Dr. Sridhar Venkatapuram, who is a lecturer in global health and philosophy and the Director of the MSc in Global Health & Social Justice programme at King’s College London. Dr. Venkatapuram has academic training in a range of disciplines including international relations (Brown), public health (Harvard), sociology (Cambridge) and political philosophy (Cambridge). He was the first researcher at the Human Rights Watch to specifically focus on health as a human rights concern. His doctoral dissertation making the argument for a moral/human right to ‘the capability to be healthy’ was supervised by Melissa Lane, and examined and passed without corrections by Amartya Sen, the Nobel prize winning economist and philosopher. It formed the basis of his first book titled Health Justice: An argument from the capabilities approach published in 2011. He is working on his second book, which focuses on the modern history and current issues in global health ethics. We need to change the story to say that health is not just about access to health care but that it includes other things that are necessary for people to be healthy and these include nutrition, water and a safe environment for growth. We need to understand that literacy, empowerment and participation are important to transform an individual and society’s environment, to impact health but in the background we know that good governance and free press are fundamental to holding people accountable. There is a difference between saying, “economic development is needed for good health” and saying “economic development causes good health”. Economic development is one of the factors for creating a healthy society. Countries have to proactively invest in health programmes such as prevention of child and maternal mortality and prevention of diseases. Bangladesh has done that better than India. For bigger illnesses, if you don’t have a stronger mechanism trying to push down the prices or the profit incentive, you are going to essentially have the American system of health care. A. The following questions are related your views on the status of health in India. 1.According to you, what should be the top three health priorities in India? There are a lot of people who believe that in terms of health, we need to focus only on improving life expectancy and reducing disease. To me, it’s not that simple as it matters who the people are, why they get sick and what happens to them as a result of being ill. The first priority should be to look at health issues facing the worst off in our country. These include people who are dying or suffering from diseases that are preventable and those at the bottom of the socio-economic ladder, as their ill health impacts them the worst in terms of their livelihood et cetera. This falls under the concern for health equity. The second priority should be to improve the health of young girls and women, as it is very clear that they suffer a greater amount of poor health in this country. Not only is this preventable, it is socially created and thus is a justice issue. The third priority should be to address the confusion between the terms health and health care. Many people who are concerned about health think immediately about access to health care — this is due to poor reasoning or language. Let me explain with an example. For a child to be healthy, he or she needs a safe environment, clean drinking water, nutritious food, hygiene and emotional and educational support along with access to health care services. The same are needed for adults as well. We need to change the story to say that health is not just about access to health care but that it includes other things that are necessary for people to be healthy and these include nutrition, water and a safe environment for growth. We also need to address the lack of information in the society about building immunity against infectious and chronic diseases, and habits that will help in promoting health and well-being amongst the population. For example, school children from very early on need to be made aware about healthy foods and habits and how these impact their health. The lack of awareness about our physical and emotional health needs to be addressed urgently to have a healthy society. 2.What makes you proud about health in India? There are a vast number of brilliant people that come out of this country who are caring, charismatic and are devoted to making a difference. I am really proud of such people who make important and innovative discoveries, be it doctors, students and other professionals in the field of health care. The human capital in this country is astounding. 3.Where is India falling behind the world? I am not so proud about the poor health of the worst–off in this country. If you want to know how well a society is doing, you can get a fair idea by looking at the health and life of the poorest sections. I am worried as I have been observing the trends from 1993 when the economy started to improve and I see that the lives of people in the higher income groups have changed dramatically but the lives of the poor, not so much. So the rich are getting richer and poor are getting poorer. We have an opportunity to change that but we are not doing it. 4.Are there examples where other fast-growing economies are handling health problems better than India? We do not need to look very far as Kerala is a great example. Brazil also has a very good programme that focuses on community health care. There is another great example that I would like to share. In the Netherlands, people take their children to the doctor, who then measures the child’s height, weight and other parameters and then compares it to a reference curve chart. What they have been noticing through this chart is that the population has been growing taller every generation. As height is an indicator of good health, this means their population is growing healthier every generation. Why not then learn from the Dutch? Japan’s population has the longest life expectancy so we should try to learn what they are doing right. Therefore, I would like to add that rather than looking to compare India to other growing economies, we should look at healthy populations and healthy practices in other countries and learn from those instead. There are a lot of things that could go very wrong in terms of health for Indian citizens. There are a number of health threats such as tuberculosis, antimicrobial resistance, or climate change that require a lot of effort right now in order to prevent further harm in the future. Politicians and the public the world over have become very short-sighted. They worry about this year, or a couple of years before elections again. As a result, there is a lack of leadership that thinks in the long term and makes efforts that require resources and mobilizing action that will see results in the long term. Twenty years from now, these issues I have identified as well as new health threats will have significant impact. And I bet people will say we wish we had done a lot more in 2013. B. These next few questions are on health equity and social justice. 1.How do you define health equity? How is health equity is different from health equality? We can all understand equality as an idea. For example, it is possible to distribute money equally. However, other dimensions of life and health are not so easy to distribute equally. Life expectancy is one such example as women naturally live longer than men. So to give equal life expectancy to both, one would have to shorten a woman’s life and that just isn’t right. Thus, we realise that absolute empirical equality doesn’t work for every concept. It is also not possible to work towards complete equality in health, as there are some factors of health that are beyond human influence. Equity also implies some kind of social injustice. Some argue that a health constraint becomes a health inequity when it is deemed to be first, a) avoidable, then b) unnecessary, and c) unjust or unfair. Thus, if one population dies younger than another because of genetic differences, it is a non-controllable factor and we tend to say that there is no health inequality. On the other hand, if a population has a lower life expectancy due to lack of access to medications, the situation would be classified as a health inequity. Let’s look at another example. We may give 100 dollars each to two people for health care treatment, but they may have different illnesses that will need different treatments. One person may have enough while another person needs much more money. So health equity falls into two major categories: horizontal equity (which means equal treatment of individuals or groups in the same circumstances) and vertical equity (which means two people with different problems should be treated differently but fairly according to their level of need). There are also many other dimensions to health equity that I have argued as needing to be recognised. We need to look at many dimensions such as differences in causes, levels, distribution patterns, consequences, experience and so forth. 2. What are the physical, social and environmental factors that can impact the overall health of an individual in India? There are many social and environmental factors that affect an individual’s life at their family /street/ state / national and international level. The answer depends really on who you are and where you are living. The first factor is that a child has to be born safely and then stay healthy for the first two days and two years, as the growth that happens in a child for the first two years is profoundly important for his or her health. As a child is growing up- nutrition, hygiene, sanitation and access to health services become very important.Education is another vital factor that hugely impact health and Kerala is a great example to show that high literacy rates of men and women positively impacts health at every stage.Discrimination faced by school children belonging to a different cast, women, ethnic groups and minorities- impacts their health. People die as a result of discrimination and we then have to ask who is responsible. Vulnerability to certain diseases affects an individual as well as a population’s ability to live a long life. Changes at an international level can also impact an individual. For example, international trade agreements regarding business can directly impact farmers in Andhra Pradesh. Thus, people at different levels have different responsibilities in addressing health challenges and goals. For example, at the national level, a government has the responsibility to decide how much investment can go into 0-2 years. We need to understand the literacy, empowerment and participation are important to transform an individual and society’s environment to impact health. But, in the background we know that good governance and free press are fundamental to holding people accountable. 3. We know that there is link between economic well being and health but do you think that it is really important? After all, Bangladesh is a much poorer country than India yet making much better progress on most health indicators. Americans are richer than many South Europeans but less healthy. This is an excellent question. We have an intuition and a basic understanding that material resources (food, shelter, clean surroundings etc) are necessary at an individual level to be healthy and so you need money for all of these things. What has happened is that we have taken an individual level of understanding about what avoids ill health and creates health and well being and applied it at the national level for tackling health issues. There is a difference between saying, “economic development is needed for good health” and saying “economic development causes good health”. Economic development is one of the factors for creating a healthy society. Currently, when we (India) are implementing development programmes or economic policies, the justification is that these programmes or policies will make a society richer and therefore healthier. This is shown not to be the case. In the 1980’s, Amartya Sen examined the development of the East Asian countries, specifically looking the countries that invested in health programmes while they were growing in comparison to those who were not. More recently, there has been research that shows that economic development does not automatically increase health. Countries have to proactively invest in health programmes such as prevention of child and maternal mortality and prevention of diseases and Bangladesh has done that better than India. Economic development in terms of just increasing the size of the economy is not sufficient for improving health indicators. You have to invest more in health. In the USA, statistics show that 50 percent of young children are not well nourished and a significant number of people don’t have access to health care. They are fundamentally focussed on economic growth, therefore how many of those health indicators will positively change- will depend on what they invest in. It is also important to understand that how much economic development will affect health, depends on which country we are talking about. Generally, the rule is that in a developing country less money can have a greater impact than in a developed economy due to availability of cheaper resources and labour. 4. What is the concept of “Capability to be Healthy”? Can you explain this term for our readers? Capability to be Healthy (CH) is something that I developed out of an approach to development advocated by Amartya Sen. In specific, it is argued that human health is best understood as a CH—a meta-capability to achieve a cluster of basic and inter-related capabilities and functionings. Let me explain why Amartya Sen comes up with this term. He asked the question that “in a society, what is it that we want to give the population so that they can live a good life?” Some would say certain liberties- which entitle people to make choices and have freedoms, some would say that it is vital to meet all basic needs for them to live, some would say it is important to make people happy and some would say they want people to have equal amounts of money. Amartya Sen then argued that none of above would in fact work. If you think about it, giving the same amount of money to a pregnant woman and a man will still produce inequality in what they are able to do as they are two different individuals with different needs. According to CH, we care about what people are capable of being and doing rather than just focusing on providing them equal amounts of products or services. It is important to empower individuals and create an enabling environment for all to be healthy. Now when we talk about people having a basic package of health care, it is dissatisfying and limiting because the capability to be healthy over their lifetime requires a combination of internal and external factors (physical biological, skills, external environment). It is not the thing people have a right to but what makes them capable to be healthy. This is a really important point that India has already grasped. In the right to food legislation, we ensure that it is not just physical food that people have a right to but all the different factors that impact a person’s ability to be well nourished. 5. Experts in India would like the next government to increase health spending from 1·4 percent to at least 3—5 percent of GDP. Does an increase in expenditure on health automatically guarantee better health indicators? An increase in health spending does not automatically guarantee better indicators of health. The USA is a really good example of this. It is the country that spends the most on health care and yet does not have very good indicators of health. If you look at the distribution of health services, they are very poor. The life expectancy of African- American men is low in certain areas and that is an indication that something is wrong. As I have said earlier, in developing countries you can do more with less. The problem in India is that we have huge amounts of corruption at every corner. So my response to a question/statement on “a need to increase health spending” is that we first have to ask “where is the increase in money going to go?” and how will it resolve a particular problem?” I am doubtful that by simply increasing the money we will get the results that we want. In India, the marketplace for health care products and services is becoming private. When the private healthcare sector functions in an environment where the funding is being increased, what is going to happen to the prices? Insurance companies will push down the money they were once willing to reimburse and the doctors will increase their rates. This will not improve health outcomes, instead make the health care market richer. We definitely need more health care resources in clinical care in the rural settings. In the NHS – UK model, the government is the provider as well the payer of health services. In that setting, an increase in expenditure on health does guarantee better health indicators. In India, we do need to increase the expenditure but we first need to question where it is going to go. 6. Parties such as the Congress and the DMK/AIADMK in Tamil Nadu in the past have introduced insurance based UHC schemes such as the Rashtriya Swasthya Bima Yojana (RSBY),which provide for cashless insurance for hospitalisation in public and private hospitals. What are your views on insurance-based UHC schemes? Currently, there are many people in India who have to pay out of their pockets for treatment when they get sick. Families make tough choices when they have to spend their limited funds for medical treatment based on whether the treatment is for a boy or a girl or a young earning member versus an elderly member of the family. As I mentioned in my response to the previous question, in the NHS – UK model, everybody gets included. The government is the provider as well the payer without any profit motive and that is an ideal system as opposed to insurance-based UHC schemes. I don’t have any ideological argument against an insurance-based scheme if it makes people healthier but the empirical research has shown that the private sector does not provide health care to those who need it the most- the poor. For a health care insurance company to make money, it needs more people who are healthier than those who are sick, so it makes sure that it doesn’t get the people who are ill. Therefore, I believe that these schemes do not work or that they work only at a micro level. For example, the organisation SEWA implemented a health insurance programme for its employees in a miniscule way where the employees pay Rs.10 a month for which they could get help in treatment costs of Rs 300 for illnesses such as diarrhoea for their children. So this works for some basic treatments but not for anything else such as surgeries, chronic diseases or cancers etc. For these bigger illnesses, if you don’t have a stronger mechanism trying to push down the prices or the profit incentive, you are going to essentially have the American system of health care. 7. As you know, the BJP has come into power. What does that mean for health in India? It is not going to be good for a lot of people. It certainly hasn’t been good for the health of the people of Gujarat, especially those who were ostracised and discriminated against, those who died and those who were left behind and are living in small communities and are scared. I care about the minorities- the Dalits, the Muslims and the women from low income groups. They may not be a minority group in terms of numbers but they can be called a minority in terms of rights. When you don’t treat your minorities well, you impact the entire population in the country. The BJP seems to be a religious, fundamentalist and ideologically driven organisation. I don’t know what their attitude is to public or private health. While they may be good for economic growth in the country, I am not sure what they will do for health, social growth, well- being and positive change in the country. 1. Could you tell us a bit about the current work or research that you are doing? How did you first get involved in this field? I was born and raised in Hyderabad, India and I went to the USA and as tradition would have it, I was going to study to become a doctor. But then I realised, if I was born in India and cared about issues in India, why was I becoming a doctor in the America? I wanted to then work in politics and international relations because I realised that poor countries including India were being screwed: treated poorly at the international level in international trade and politics for example. Initially I thought of becoming an international lawyer and then I came to New York at a time when the AIDS epidemic was really present and it became very clear that AIDS is not so much a medical problem as it is a social problem. The way to solve it is to try and change the environment of the lives of people, and I felt this to be even more true when I came back to India to work in HIV/AIDS. Understanding the complex social and environmental problems in society is what motivated me to work in this field. 2. What do you enjoy most about working in the health services field? I get very optimistic when I see young college graduates, who are so energetic and motivated to make a difference in their fields. This generation strongly feels that they have to do something to make a difference when they hear about any kind of injustice in society. They come from different parts of the world but don’t let borders become a limitation in any way. This is what I enjoy the most- to see young, driven students from different corners of the world, who want to find solutions to problems facing the world today. 3. What do you like the least about working in this field? What has surprised you most about working in this field that you are currently working in? 4. What trends do you see in India over the next five years? If things continue the way they are, many people will be able to access healthcare and will clearly benefit. But most of this health care will be in the private sector. Unless something radical changes regarding health policy, people with money will continue to buy more healthcare when they can, while a huge part of the population will continue to experience catastrophic poverty from spending or borrowing money and likely getting poor quality health care. So, in essence, I see growing inequality in health outcomes across regions, states, and socio-economic groups. 5. What’s the best/worst thing to happen since you started working in this field? One of the best thing that has happened is that people everywhere in the world now understand and appreciate that their health is connected to factors all around the world. And, at the same time, young people the world over see themselves as similar-same concerns, dreams, ambitions, etc. One of the worst thing for me, in my field which is called global health is that rise of mega-thinking. Because of the huge amounts of money that is needed and that is currently available, many people who are aiming to be leaders in the field think that this means thinking very big—about national and global policies and institutions. This often makes them blind to the details and inequities that are local. People’s personalities can become affected when they start thinking big. 6. What might someone be surprised to know about you ? There may be a lot of things different people find surprising for various reasons. Perhaps, in this context of this conversation, people might find it surprising that I spent many years working outside of academia. I worked in law firms, in banking, in public health, charities. I even worked for many months at a time as an office temp or secretary because there were no readily available jobs for someone who wants to do public and global health ethics. 7. What do you do when you aren’t working? My life is very simple and routine which is something that I am grateful for right now after moving around a lot after studying and working. Right now , my routine includes working, going to the gym afterwards and then going to sleep. On the weekends, I try to one or two fun things such as looking at art. So I visit museums and exhibitions. I live in central London so I spend lots of time walking around and because of my work, I travel a lot around the as well. I really enjoy having a work reason to visit lots of new cities and interacting with people. Some very insightful thoughts. Yes, healthcare should be not be seen just as access to facilities (which one may not even be able to afford) but also access to basic necessities that go into making a person healthy: nutritious food, safe drinking water and a secure, clean place to live.